Lovely Pool home with 4/5 bedrooms and four full bathrooms. 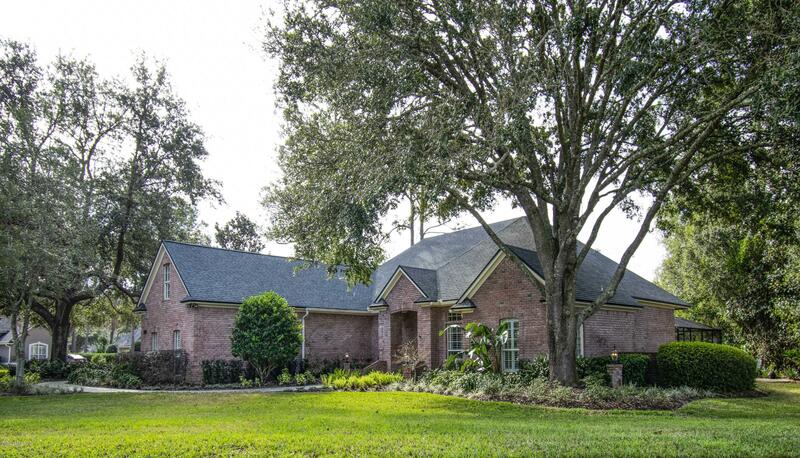 This beautifully maintained property features a stunning all brick home with a three car garage, paver driveway and walkway, pool/ large lanai, along with a separate private sitting area to the right of the lanai. New garage doors, pavers in driveway and walkway, pool including spa completely renovated, includes salt water with solar & propane gas heating and remote control. Master bath renovation includes Grohe fixtures, Silestone quartz counter tops, Elfa closets. Plantation shutters and hardwood floors throughout this lovely home, surround sound, 2 refrigerators, washer and dryer and gas grill stay. Very large private lot with plenty of room for the family.